President Donald Trump has signed the Music Modernization Act, now know as the The Orrin G. Hatch Music Modernization Act (MMA) into law. The bill will go into effect on January 2, 2021, and will improve streaming royalty rates for American songwriters. The President signed the bill on Thursday (Oct 11th) surrounded by members of the music community. Kid Rock, John Rich’s Big & Rich, Craig Morgan, MercyMe, Sam Moore, guitarist Jeff Baxter of The Doobie Brothers and Steely Dan, Mike Love of The Beach Boys, President and CEO of the Recording Academy Neil Portnow and others were by the President’s side when the announcement was made. 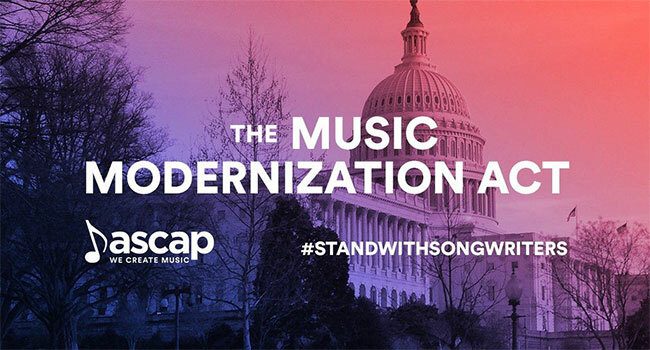 “The Music Modernization Act closes loopholes in our digital royalty laws to ensure that songwriters, artists, producers, and providers receive fair payment for the licensing of music. I’ve been reading about this for many years. Never thought I’d be involved in it, but I got involved in it. They were treated very unfairly. They’re not going to be treated unfairly anymore. Streaming has made music more accessible than ever, yet our laws have not kept up with the pace of technology. As such, artists of all varieties and all career stages are losing out on revenue that they have rightly earned. And I guess especially from four or five, six years ago, and beyond,” Trump states. The new law sets a standard licensing rate for digital performance and recordings including those recorded before 1972. It also creates a procedure for producers, engineers, and other participants in the recording and music industry to collect performance royalties. Last month, the bill passed both Senate and the House of Representatives unanimously, something Trump pokes fun at with regard to critics. “Unanimous. So we just did two unanimous bills. Who says we can’t pass unanimous? Who said we don’t have bipartisan? It is bipartisan. But this legislation passed both houses unanimously,” Trump says. “Fair payment for intellectual property is essential to maintain America’s longstanding position as the world leader in music and entertainment. And when they say ‘world leader,’ it’s world leader, by far. It’s not even close. “This legislation accomplishes that goal by updating our licensing laws to reflect the significant growth in streaming and digital music.